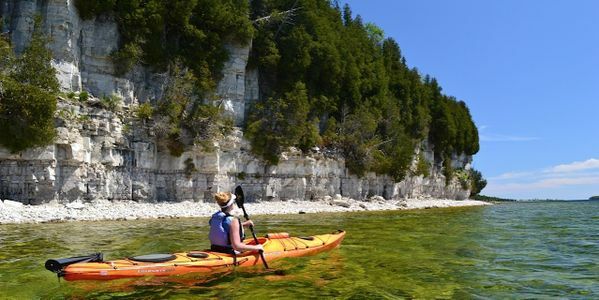 petition: Make the Grand Traverse Islands a National Park! Make the Grand Traverse Islands a National Park! recipient: Congress. The Department of the Interior. Highlighted for their scenic beauty and recreational potential as a wilderness park in the Department of the Interior's 1970 Islands of America Report, the Grand Traverse Islands should have been protected over four decades ago. But politics and budget shortfalls unraveled the effort before it could take flight. Now the Grand Traverse Islands need our protection more than ever. The nineteenth-century lighthouses and historic structures located there have fallen into grave disrepair. Habitats for the threatened and endangered species found on the islands are shrinking across the region. And there remains very little safety-net for people who choose to visit. It is time to make the Grand Traverse Islands a National Park! - Protect our maritime history (including the area's commercial fishing industry, an essential part of our cultural heritage). - Ensure public access for all (including those who hunt). - And make them safer to visit. Let Congress know that the Grand Traverse Islands shouldn't just be for the few---and that they can't wait any longer! They were identified for protection as far back as 1967, when the U.S. Bureau of Outdoor Recreation conducted an unofficial study of the islands and recommended that they be turned into an “interstate wilderness park”---a recommendation that was later enthroned in the Bureau’s landmark 1970 Islands of America report. On the heels of that recommendation, Wisconsin and Michigan began jointly planning that interstate park’s creation. Wisconsin went as far as to commission an environmental impact study of the Grand Traverse Islands State Park in 1978, and purchased five small plots of land on Detroit Island for inclusion into the park shortly thereafter. Sadly, either because of decreasing state coffers or the changing politics of the 1980s, the interstate park plan was abandoned. Ever since, the islands have remained largely inaccessible to the public and the lighthouses and other historic buildings there have been left to decay. Many are now among the nation’s most endangered maritime structures.This is a national tragedy. The time to act on the Grand Traverse Islands has come, and the answer is a national park. The area would be most effectively managed by a single agency, and since the archipelago bridges the states of Wisconsin and Michigan, any single overseeing agency must be federal. The National Park Service (NPS) is a perfect candidate. Although the US Fish and Wildlife Service does a fantastic job of managing the lands it oversees and is working with the Friends of Plum and Pilot Islands to open Plum Island up to the public, its primary goals do not typically include historic preservation and interpretation, which is greatly needed throughout the Grand Traverse Islands. The NPS has that interpretive mission, and would allow for greater public access. Moreover, national parks generate huge economic benefits. According to a recently released National Park Service report, the national park system brought $14.7 billion in spending to gateway communities in 2012. With 401 National Park Service units, that is an average of over $36.6 million dollars per park unit! So please help make the dream of a national park in the Grand Traverse Islands a reality! Authorize the National Park Service to conduct a Special Resource Study of the area, and then work to establish a national lakeshore there---one that allows for traditional uses, including hunting and commercial fishing. Your efforts today will reap huge benefits down the road---for us, for nature, and for all time! Thank you! We’ve reached 500 signatures on our Grand Traverse Islands National Lakeshore petition!!! To everyone who has already signed: THANK YOU! Now let’s go for 5,000! The best way to collect signatures is via personal e-mails and Facebook posts: so if you have some time, please send an e-mail to people you know with the following link: http://www.thepetitionsite.com/656/340/884/make-the-grand-traverse-islands-a-national-lakeshore/ - or post it directly to your Facebook page! Thanks! !